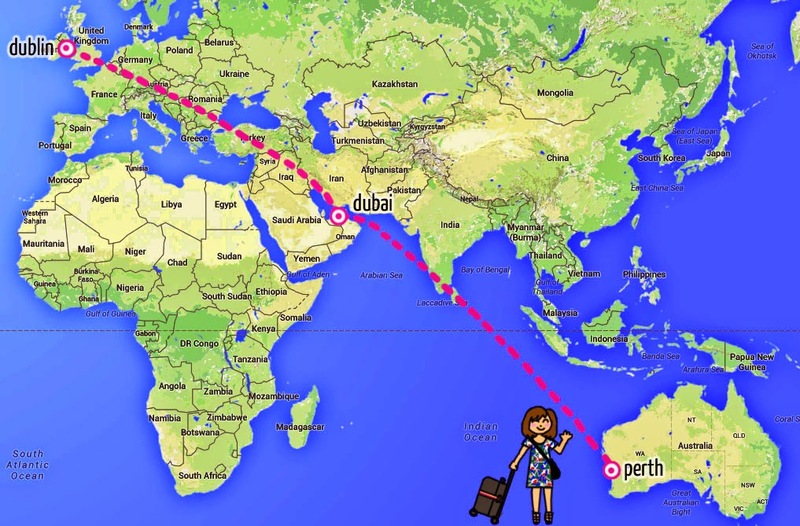 The grass isn’t always greener…my journey from Ireland to Australia! As I approach my last week of living in the Perth sunshine, I am going to reflect on life far far away. Australia has been one of ‘thee’ places to go along with Canada. Over the past few years, we have seen thousands of young people leave our green country for a better life abroad. I know so many people will ask WHY when I come home. WHY would I want to leave the life of beaches, sunshine and opportunities to return home to our wet rainy country where everyone seems to be still doing exactly as they were last year? Well this post will explain just that. 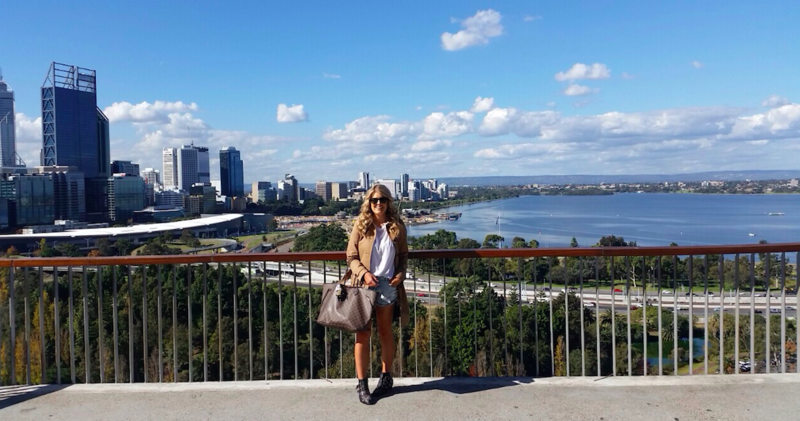 This photo below was actually taken today in Kings Park overlooking Perth city. First of all, let me start by saying how much I ADORE travelling and visiting new countries. I have been a keen traveller from a young age and have visited countries like The Maldives, South Africa, Mexico, Dubai and Bali to name just a few. 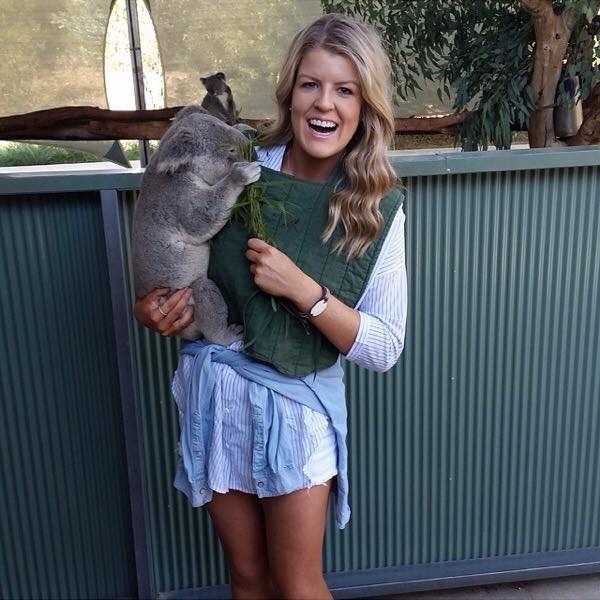 I had always wanted to come visit Australia. Last year when I finished my Marketing degree, I knew it was the perfect time to get on that plane and see what all the fuss was about down under. I had originally only planned to stay in Oz for six months. I actually had a return flight booked home for November but little did I know that was all about to change. I went to Oz solo as Andrew has decided to visit his friend in Toronto. I lived with my friend Ally & her friends and got a job within 3 weeks. 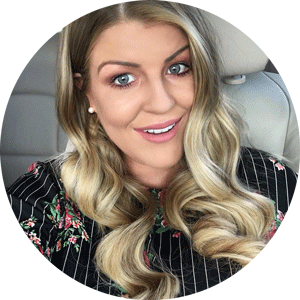 I started working in Harvey Norman in the interim to finding a job in the fashion industry. After just 3 weeks of working at Harvey Norman, I secured a managerial job working for a top international luxury brand. Andrew then decided he wanted to join me in Australia. I was over the moon and couldn’t contain my excitement. I got a dream job with an amazing company and my boyfriend was joining me here, what more could I want right? Well….Australia was fun at first. After a month we went to visit Bali which was only 3hrs from Perth and was an incredible experience. We were constantly exploring Western Australia as there really was so much to see. What people forget is, we had full time jobs that we couldn’t just call in sick or not show up. It wasn’t like what I heard from others who had travelled Australia. It wasn’t a holiday, it was just working in another city 9255miles away from home. A manager in my previous job told me to go to Australia sell flip flops on the beach and come back. She said don’t take life so serious out there and enjoy it. 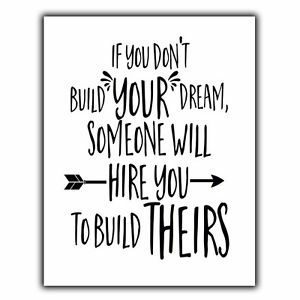 I did take her advice to an extent but on landing my dream job I had much more responsibility than I had initially planned. I constantly doubted my situation as I wanted this job so much but it’s not how I pictured my life in Australia. I was working in my job 5months when I realised I just wasn’t enjoying Australia as much as I had been. We had moved into a share house and after 3months of living there, we decided we didn’t want to share with so many people and moved out of the house. We had the pressure of trying to find somewhere as we were going back to Ireland for three weeks. I went home in November, graduated from college and saw all my family & friends. This was such an uplift and just what I needed at the time. I returned to Oz really excited because I was moving in with my fabulous friend Danielle. It was also the start of Summer & who doesn’t love the Summer sunshine? But still something was missing. I was still unhappy in my job, I was gaining weight, missing home and had got myself into a rut where I had started to even neglect my blog. My blog was my baby. I loved doing it but I had just lost interest. We were still trying to make the most of our days off together and the sunshine was beautiful. I spent days drinking wine, watching sunsets and having dinner parties. Things were going from bad to worse and I even fell out with my best friend in Australia who I have known since I was 9. I really questioned if I wanted to stay in Australia, so one sunny day back in January we decided to book a one way flight back to Ireland. THE RELIEF!!!! I didn’t tell anybody for weeks as we wanted to keep it to ourselves. I felt like a weight was lifted off my shoulders. That’s the question everyone will ask….it wasn’t that anything went wrong or that we didn’t enjoy Australia, we loved it! We just had so many obstacles to over come this year that it really was the right decision to move home. On top of everything that happened here in Australia, Andrew lost one of his best friends and I lost my young cousin both to suicide. We were not able to go back to Ireland and this really hurt us both. That’s one thing people abroad find really difficult. It’s not being able to be at home at those difficult times with family & friends. It unfortunately is not as easy to just jump on a plane when you are at the other side of the world. Then a while later my dog Max died after 14years and obviously I couldn’t be there either. So your probably seeing a pattern here, my time in Australia just wasn’t as easy and amazing as my Facebook or Instagram page may seem. Yes I enjoyed life here when I could but behind closed doors it wasn’t as perfect as it may have looked. The point I’m trying to make is moving abroad is for some people and not others. I never initially intended to go for longer than 6months but my job kept me here. 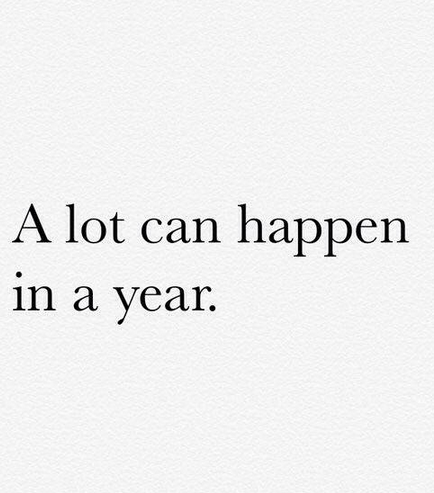 A year was enough for me personally. I would definitely recommend anyone to DO IT. Anyone who has the opportunity to go, live & experience it all. 100% yes. I am delighted with my experience with such an incredible company and I will now have this on my CV but…..if you are taking a year out to live abroad then DO THAT! Don’t get a full time job and live the same life you did back home. A year abroad or gap year is about working & doing jobs you wouldn’t necessarily do back home. Not in a million years, even though it’s been tough I’m so happy I took the plunge and moved here. I’m lucky I got to travel to the other side of the world and experience Aussie life. It has been AN EXPERIENCE and all hasn’t been doom and gloom. I have made some incredible friends who I will have for life 😉 you know who you are and I will take the treasured memories of the good times in Australia back home with. Well I’ve been on a great path the past 2months. I’m enjoying life, I’ve lost over a stone in weight, I’ve just finished in my job and now having ‘me time’. I’m back blogging and I’m actually currently detoxing this week before our exciting trip home next week. I have big plans for TSO when I’m home and I’m in talks with companies for new collaborations already. We start our one way journey back home next week travelling to Singapore and Dubai. We have so much planned from cooking classes in Downtown Singapore, Universal Studios, cocktails at Marina Bay Sands, High Tea at Waldorf and visiting an Ice Bar in Dubai. Needless to say I’m beyond excited to see all my friends and family & catch up with everyone. I’m going to take a couple of weeks out. I’m actually starting my own home based business and will be looking for the next step in my fashion career. I’m looking forward to what lies ahead….. The UNFOLLOW Button Is A Great Thing…..
Next Post What’s going on with Khloe Kardashian & Scott Disick?